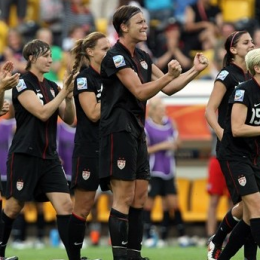 The 2011 Women’s World Cup was one of the most enthralling soccer spectacles in recent memory. The PSP reflects on the standout performers from this summer’s tournament. The US women fell to Japan after blowing late leads in regular and extra time. Japanese captain Homare Sawa was the hero. PSP’s Allison Frank has all the details. It all comes down to this! 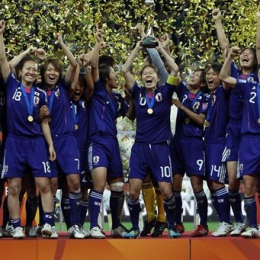 PSP’s Allison Frank runs through the strengths and weaknesses of the USA and Japan ahead of Sunday’s Women’s World Cup final. On the heels of their amazing win over Brazil, the US face another tough test in the high-octane French offense. Meanwhile, Japan will take their tough midfield play to a showdown with the in-form Swedes, who are riding high after trouncing Australia. PSP’s Allison Frank tells you what to expect on Wednesday. 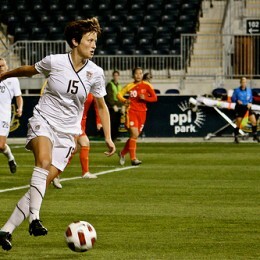 Abby Wambach scored in extra time of overtime (!) to tie Brazil, and Hope Solo made a huge save to send the United States to the semi-finals of the Women’s World Cup. It was dramatic and special. It was simply indescribable. Maura Gladys breaks down the five events that had the biggest influence on the outcome of the USA/Brazil quarterfinal that rocked the sports world. The group stage showed off the very best the women’s game has to offer. Some superstars hit the ground running (Marta) while others need to step it up in the knockout rounds. Here is the best eleven players from the group stage, along with some of the low points thus far. France ran riot over Canada and joins their German hosts in the quarterfinals. Cheney and Buehler muscled the Americans past an exciting North Korean side that asked real questions of the USWNT.